What to read from Berkshire Hathaway’s annual letter? 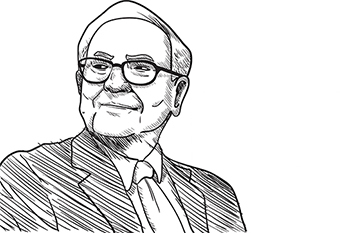 Each year around the last week of February, the annual meeting of Berkshire Hathaway takes place in Omaha and for value investors this is like an incomparable learning experience. Each year around the last week of February, the annual meeting of Berkshire Hathaway takes place in Omaha and for value investors this is like an incomparable learning experience. For the calendar year 2017, the Warren Buffett Company continued to flatter the street. What matters about Berkshire Hathaway is not that it has beaten the S&P 500 but that it has done so by a huge margin and consistently since 1964. What are the key takeaways for investors from the 2017 annual meeting of Berkshire Hathaway, with the fabled piece of Buffettian wisdom thrown in…? For Berkshire Hathaway, performance has spoken consistently over the last 53 years since Buffett took over the company in 1964. Remember, Buffett never paid out dividends so the only return is through capital appreciation of Berkshire Hathaway. The Berkshire stock has given nearly 19.1% returns CAGR over the last 53 years. On an annualized basis that beats the S&P 500 by nearly 10% each year. 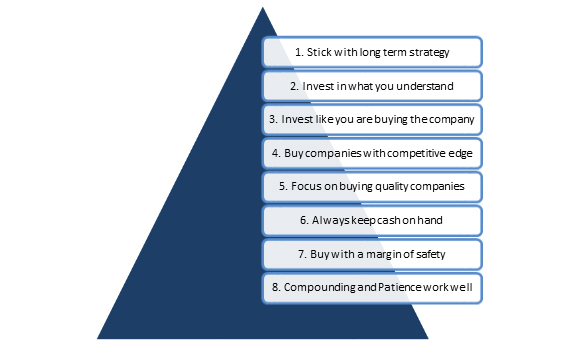 This performance has been largely on the back of the simple investment rules that Warren Buffett and Charlie Munger have adhered to. Berkshire is an insurance business and had to take a loss of $3 billion during the year due to hurricane losses. However, as Buffett puts it, this is against the $28 billion that the company earned from premiums in the last decade and half. Considering that Berkshire added $65 billion in wealth in 2017 despite insurance losses says something about investor confidence. However, Buffett continues to be extremely bullish about the prospects of the insurance business in creating shareholder wealth. During the year Berkshire almost entirely got out of its IBM holdings as growth and traction were not visible at the pace that the company had expected. Buffett himself admitted that IBM was a bad idea. However, Apple remains the biggest single investment of Berkshire almost at par with Wells Fargo. What is intriguing is that traditionally Buffett had avoided technology stocks since he claimed, he did not understand most of them. Recently, Buffett also regretted that he had missed out on the big stories of the last few years like Amazon and Google. However, banking continues to be Buffett’s single biggest exposure. During the year 2017, the cash stash of Berkshire Hathaway went up by $30 billion from $86 billion to $116 billion. As Buffett himself admitted, they are wary of equity valuations at current levels and would wait for better entry points. Interestingly, Buffett remains extremely bearish on bonds and expects that rising bond yields will lead to falling bond prices in the US and across most of the world. In fact, Buffett has gone to the extent of warning that a bond crash could be the next big risk in the global markets beginning with the US. Not to forget that a bond market fall has already started and is underway. The common joke in business parlance is that elephants cannot dance and Berkshire is already among the 10 most valuable businesses in the US and also in the world. Buffett has underscored that with their current size and their cash stash, Berkshire Hathaway may find it difficult to repeat their past performance in the future. However, this warning was first given by Buffett in 1973, then again in 1990 and again in 2001. But after each warning Berkshire has continued to outperform the index on a consistent basis. However, the core of Buffett’s argument and warning needs to be seen more granularly. In the 2016 annual letter to shareholders, Warren Buffett had given adequate space to laud the achievements and the contributions of John Bogle in creating wealth for investors. Interestingly, Bogle is the founder of Vanguard Funds, which is the world’s largest passive index investor. But Buffett had a point! He had said that Bogle, by saving billions of dollars in mutual fund fees, had created more wealth for American people than any other fund manager. What it also indicates is that alpha is going to be hard to come by. With debt getting into a tight spot and equity racked by trade wars and global volatility, Buffett’s warning is that fund managers the world over may have a tough time generating alpha for their investors. That is a fairly reasonable assumption to make and could be the single most important take-away from the Buffett annual meet. Like in previous years, the Oracle of Omaha manages to capture the imagination of value investors across the world. However, this time around, his warning about the difficulty of generating alpha needs to be taken a lot more seriously!